Diane Arbus, "the photographer of the freaks," was an American photographer and writer whose legacy is based on black-and-white photographs of deviant individuals who socially or culturally strayed from the norm. From dwarfs and nudists to transgendered people and circus performers, Arbus beautifully captured surreal persons as the objects of her artistic passions. As a troubled artist herself, Arbus suffered from episodes of depression with severe highs and lows and volatile mood swings. The lighthearted and lively photographer mysteriously committed suicide at age 48. Shortly after her death, Arbus's photographs were honored at the Venice Biennale, making her the first American photographer to be included in the esteemed exhibition, according to John Simon Guggenheim Memorial Foundation. Her haunting portraits and provocative aesthetic intention are still appreciated and criticized today. Diane Arbus's passion for photography started in the early 1940s when she and her husband observed the work of Alfred Stieglitz at his gallery. Arbus's father owned the Fifth Avenue department store Russek's and hired the Arbuses to take photographs for Russek advertisements. Both alongside her husband and independently, Arbus contributed to prominent publications, including Vogue, Harper's Bazaar, Esquire and The Sunday Times Magazine. Arbus, however, is lauded, and even condemned, for her fascination with the absurd. Lubow explains that Arbus's most interesting and formidable "subjects lived on the fringes of polite society. Her pictures provoked a controversy that has yet to die down." 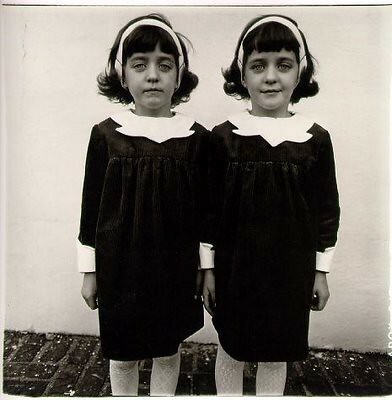 Arbus was an artistic visionary who challenged not only her own creative talent, but her perspectives on truth and awe. A vivacious soul with a dark side, she pushed boundaries and empathized with the unusual through photography. Arbus's legacy inspires soul-seekers on the quest to find life's meanings by embracing what you may misunderstand — turning what makes you feel uncomfortable into intrigue and wonder. Through her eyes, circus freaks were aristocrats and female impersonators were gender-barrier pioneers. According to Arthur Lubow's "Arbus Reconsidered" featured in The New York Times, critic Susan Sontag described Arbus's subjects as "people who are pathetic, pitiable, as well as repulsive," and Patricia Bosworth's 1984 biography about the photographer said "her camera was the window to a tortured soul." Through her photographs of societal outcasts, who were unpleasing to the eye, Arbus gave subjective beauty to what ordinarily was deemed as ugly. She relied on her innate, infectious empathy to connect with her subjects and create an aesthetic experience through still photographs that will tell stories forever. The Guardian explains that Arbus's work was "problematic... because she transgressed the traditional boundaries of portraiture." Arbus was drawn to the sideshow circus freaks — including people with "mental disabilities or physical abnormalities" who had a beautiful "power to unsettle and disturb." Her portraits seemed to be a visual display of her "insatiable fascination with the unusual." In the words of Arbus, "A photograph is a secret about a secret. The more it tells you the less you know," spotlights the Academy of Art school for photography. It was Arbus's bold curiosity and driving desire to share what others do not see that has defined her work as beautifully transgressional, famous, and inextricably powerful.